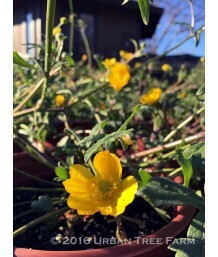 California Native ButtercupSemi-evergreen perennial. Will go dormant in summer without water. Califo..
ScabwortEvergreen perennial. Used as groundcover. Tiny lead-grey foliage form an absolutely flat car..
Mexican HatDeciduous perennial. Long soft green leaves grow in a loose attractive formation. Unique ..
Chinese FoxgloveDeciduous perennial. Rough, palmate leaves in deep shades of green grow underneath t..
Chinese FoxgloveDeciduous perennial. Rough, palmate leaves in deep shades of green with a red tinge ..
Natal Ruby GrassSemi-evergreen perennial grass. Evergreen in mild climates. Also known as melinis ne..
Ruby GrassSemi-evergreen perennial grass. Evergreen in mild climates. 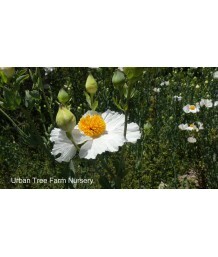 Also known as melinis nerviglu..
Matilija PoppyDeciduous shrubby perennial. Moderate growth rate. Medium-sized gray-green irregularly..
BrambleEvergreen perennial. Used as ground cover. 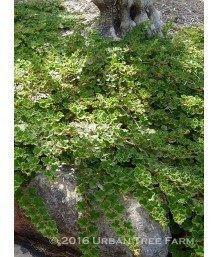 Thick green heavily textured foliage forms a durab..
Black Eyed SusanDeciduous perennial. Dark green attractive foliage spreads by rhizomes, best divided.. 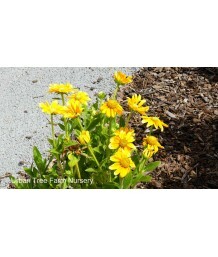 Dwarf Black Eyed Susan/Gloriosa DaisyDeciduous perennial. 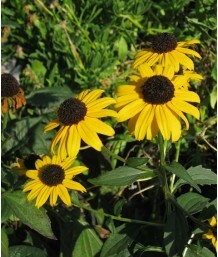 Dense medium green foliage spreads by rhiz..
Black Eyed Susan/Gloriosa DaisyDeciduous perennial. Dense medium green foliage spreads by rhizomes, ..
Mexican PetuniaDeciduous perennial. 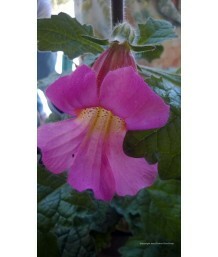 Can be invasive; best kept in containers. Dark green narrow leav..
Spanish/Dutch Butcher's BroomEvergreen perennial. Deep green shiny leaves form a spreading clump. Br..